We just finished readying your wonderful post about San Giovanni Chiaretto. So glad you enjoyed it! 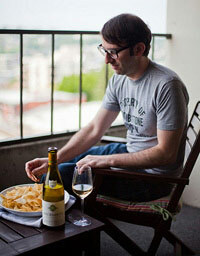 It is only the second vintage to be offered in the US but has developed such a following. Would you believe that when we met Paulo the owner he had all but given up on the US market, thinking that Americans just didn’t understand his wines? Well, I don’t know what’s not to love about an amazing rosé in a squat little bottle. 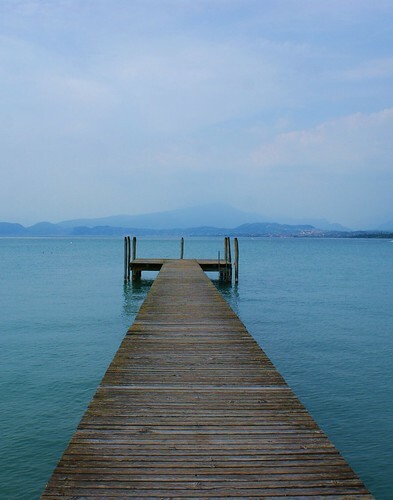 You could carry a well-chilled bottle down to this pier on Lake Garda in Lombardy, not too far from the winery. And thought I got the translation of “Il vino di una notte” listed on the front label correct (“The wine of one night“), I completely missed the point. Birk to the rescue! From now on I’ll just stick to drinking Italian rosé rather than speculating on Italian phrases and their meaning. So it is not exactly ‘acidity’ that we seek on its own, but as a integral component that balances these wines, keeps the focus on the center of the palate, allows the wine to age longer, gives the wine a certain freshness, and is an excellent partner with food. Lake Garda photo courtesy spencer77.